"As a sponsor we were excited about the event, but also conscious it was a big leap from a 5K charity run. However, leading up to the event you were all so helpful it was superb. From the moment we turned up at Trafalgar Square things could not have gone more smoothly. The participants certainly helped make what it was through tremendous camaraderie but that was wholeheartedly instilled by Dave, Lorraine, Alan and the constantly reliable Mike from the very start. Personally, I was quite anxious about it having not got on a bike for many years, but this gave me the bug and despite being the slowest by a long way amongst more experienced riders, the team were fantastic at keeping us motivated and together as one. The organisation, the fantastic cycle tops, the support throughout were all absolutely first class." 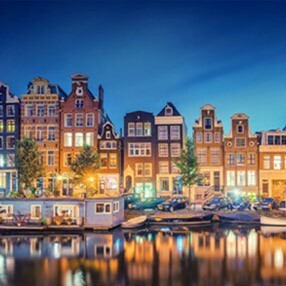 "Just returned from the London to Amsterdam tour and had a great time. The perfect weather conditions of course helped but I am sure that without that my feelings would have been the same. Being spoiled in the Netherlands (more cycle paths than highways there!) , the UK side was a challenge. I was surprised by the high speed of cars passing but with the guides leading the way we survived. What a relief to be back in the Netherlands riding through the dunes, watching the sea and listening to the other participants (of how beautiful cycling conditions were). Really enjoyed how well this trip was organised and can only encourage you all to once try to join a tour. Thanks to the other participants and of course to all at Challenge Central that were leading the way! Erik S"
"Thanks to the Challenge Central team who were on it at every turn of the road, before and during the challenge. Well done to all!" "The 4 staff we had were brilliant. They encouraged without pushing. Ensured everyone was involved. Made sure we only had to worry about turning our legs and not worrying about other details." "The staff were all excellent and went above and beyond the call of duty. I could barely remember my own name yet they made everyone feel like a friend." 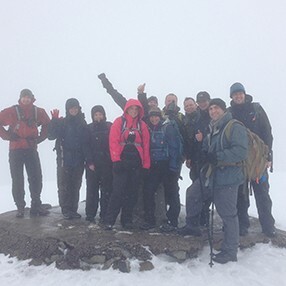 "From everyone at Stockport Homes Group, I would like to say a huge thank you to Paul, Duncan, Mark and Craig for getting us up and down Scafell Pike in one piece! Their knowledge, professionalism, empathy and above all patience made the event a true success. I would also like to personally thank Selina for all of her hard work behind the scenes; making our second challenge with Challenge Central become another reality!" "Great weekend, thanks for making it amazing"
"Great couple of days from London to Amsterdam; thank you all!" 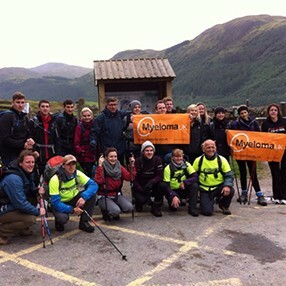 "I just wanted to say a HUGE thank you to you and the team we had with us at Snowdon. All 23 people have been raving about how amazing the team were. They were understanding, compassionate, caring, patient and professional. They really were the reason we all made it up and down there – the weather was horrendous! Personally, I would like to pass on my sincere thanks to Duncan. I had emergency spinal surgery last January, and never thought I’d be able to do anything like this ever again. 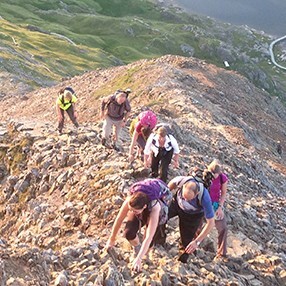 Going up the Pyg path, at times I really struggled both mentally and physically. Duncan was an absolute rock (no pun intended) Without his support, encouragement, understanding and compassion, I never would have made it up there. I have my walking mojo back and I have Duncan to thank for that. Selina – thank you so much for all of your help and guidance in the lead up to the challenge. Nothing was too much trouble for you and I really appreciate that. We’re already planning next year’s challenge and I will definitely be booking with Challenge Central again. You’re amazing." 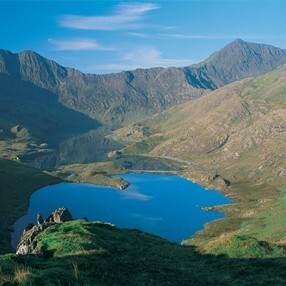 "In October we completed the Snowdon Trek. I just wanted to email to compliment the two younger guides, Nathan and Louie. The group split into two with the faster ones heading off with Phil and Duncan. We were not the fastest by any stretch of the imagination and one of our group really did find it a struggle but she did it. Nathan and Louie were really encouraging and thoughtful and really made sure we were safe at all times. We must have held them up so much being so slow but they never complained. They are both a credit to your company." "Had a great time! Already planning our next one." "Thanks to all; I had a great weekend." "All communication was excellent. Any queries were answered promptly. The team were excellent all round; need to keep them for your firm. A good front team." "I would like to take the opportunity now we are back to thank all concerned for an amazing few days. Selina’s organisational skills are amazing and enabled the challenge to go without a hitch. Thank-you Paul, Nathan and Robin for keeping us safe and making the whole experience great fun." 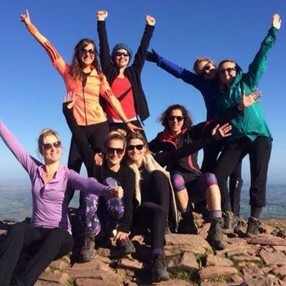 "Well planned route, stunning scenery, good service by the CC team, great IHG team good bonding session." "Great CC team. Much of the success of this trip was down to the local knowledge of the team and the great support provided by the follow up vans as well as the technical abilities of some of the leaders." "We have all really enjoyed the challenge. Testimony to that is the fact that we are already talking about the next challenge in 2018! It has been a great team building exercise as well! Thanks to all the CC team." "Enjoyed most about the challenge….. the hills! more seriously the professionalism of the Challenge Central and their helpful attitude." “What a thoroughly exciting weekend! Some great cycling and amazing sites! 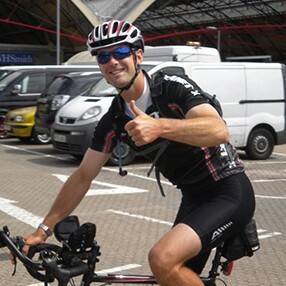 I would recommend anyone who is interested in cycling to join in one of the challenges. So organised and fantastic guides and support drivers. 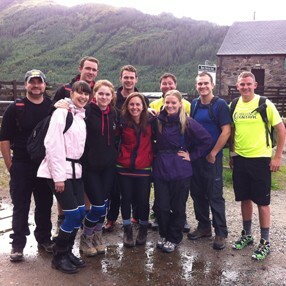 “Just got back from a 3 peak challenge and can recommend booking through Challenge Central. Whole trip went smoothly from pick-ups in Glasgow to drop off in Birmingham. Having to get off the mountain at Snowdon due to 80mph winds I can’t stress how important it was to have two very experienced guides with us. Like all things in life you get what you pay for and Challenge Central’s 3 peak challenge was worth every penny. "The CC staff and guides are fantastic. Knowledgeable and encouraging, can't fault them for a minute. The support vehicles are equipped with everything you need (including spare cleats!). Selina is brilliant at getting us all organised. Lunch on the first day was excellent. I think they all do a really good job and it's reassuring to know that they are there for any emergencies. 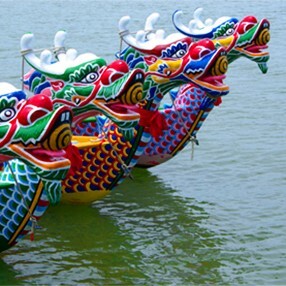 "Thank you to the team at Challenge Central for putting on a wonderful event with the Dragon Boat Race Day. The Living Room Herts is a charity based in Stevenage and the Race Day is an chance for us to raise our profile in the local community and to raise vital funds in the form of sponsorship money. The Challenge Day also offers an opportunity for local businesses to hire a boat to raise sponsorship money for our charity and, at the same time, give its staff members a fantastic day out. "The staff were brilliant.... very friendly, supportive, encouraging, motivating and attended to everyone's needs. The fact that everything was taken care for us from meeting up with our bikes.... looking after them at pit stops..... taking care of them at the end of the days and start of the mornings and then packing everything away for transfers home..... removed ANY potential worry and stress....... this was amazing!!!! You guys are a super team." 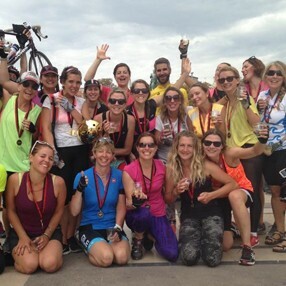 "Having called several companies before I spoke to Challenge Central, to run a slightly bespoke London to Amsterdam bike challenge for us, I knew as soon as I spoke to Selina that they were the right company for us. Professional, knowledgeable and extremely accommodating to our requirements; the organisation running up to the trip was fantastic, with great communication and every detail covered. 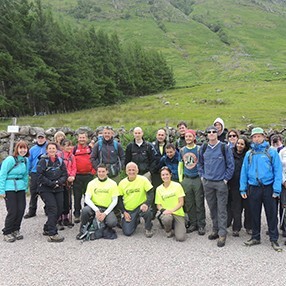 "Challenge Central led us on a bespoke 3 day challenge to raise money for Cancer Research. This was the third time the group has used Challenge Central. We cycled from London to Wales, hiked up Pen Y Fan (highest peak in the Brecon Beacons) & kayaked for four hours. 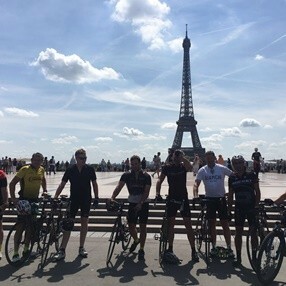 "London to Paris was a brilliant challenge, so well supported and organised by the very friendly team from Challenge Central. I thoroughly enjoyed every part of the trip and will be booking onto more trips with Challenge Central in the near future. 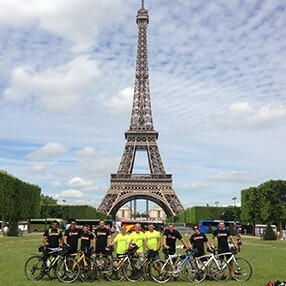 "Challenge Central organised a fantastic trip from London to Paris. The leaders and drivers pulled all us challengers together and created a great atmosphere and team spirit. "I would like to say a big thank you to Team Challenge Central for their help, guidance and enthusiasm for this trip. It was most definitely an amazing experience and most definitely an achievement. It is not for the light-hearted, it does really take a lot out of you but if you’re mentally and physically prepared, this will be an enjoyable and exciting challenge to sign up for. 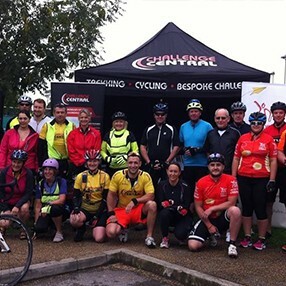 "We would like to give credit to the Staff at Challenge Central for the support we received during the Letchworth/Cambridge charity ride on Sunday 30th August 2015. "Thank you so much for a really great trip to Paris. 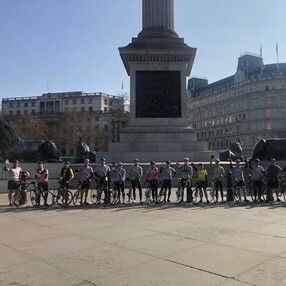 Fantastic cycling that was everything that I hoped it would be, led by great guides and with a great bunch of fellow riders. I’m already looking forward to my next challenge." "First class team that support ordinary people doing tough challenges." "Massive thanks to all the crew @ChallengeC both in the office and on the road – sad that it’s all over and can’t wait for the next one." "Many thanks CC what a journey with amazing people well done to you all….. next stop Amsterdam." 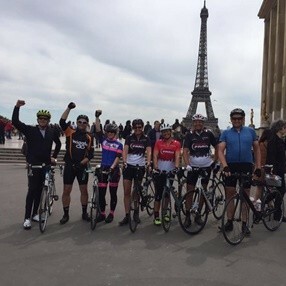 "Once in a lifetime with amazing people thanks for a fantastic ride in to Paris." "Truly amazing trip and incredible support from the CC team." "As race day approached all of the nurses and community team were extremely excited but also anxious about their challenge ahead! Luckily the sun was shining for all of our participants and their spirits were high. Although they didn’t win they had such a fantastic day and said immediately after they finished that they’d love to do it again next year. The organisation (by Challenge Central) of the event was great beforehand and during. Everything ran smoothly. 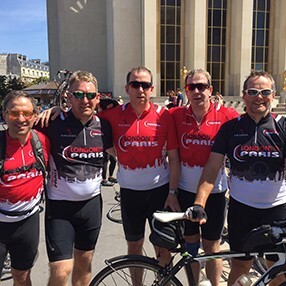 "Cycling from London to Paris with Challenge Central is up there with my really great achievements ! It rates with high mountain climbing and running marathons – though my last was almost 10 years ago! As a lady in her mid sixties I watched with horror at Victoria Station car park as one young man after another arrived sporting drop handled bicycles with cleated pedals. 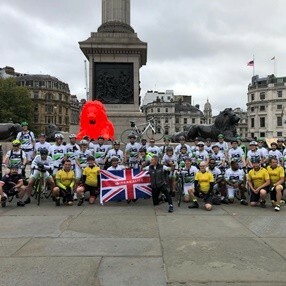 However I need not have worried as although I lacked speed I didn’t lack determination and the encouragement from the other riders and especially the CC leaders – Alan, Lorraine and David – was second to none. I really felt that they got a real sense of achievement when I arrived in Paris! I of course was elated! "A huge thank you to the lovely CC team for an enjoyable trip to Paris. 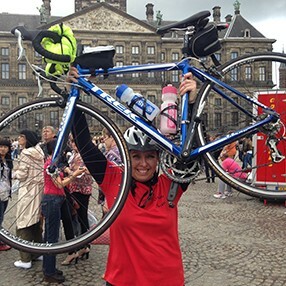 I was asked by my friend Anita to join a large group of girls on the London to Paris when someone dropped out. 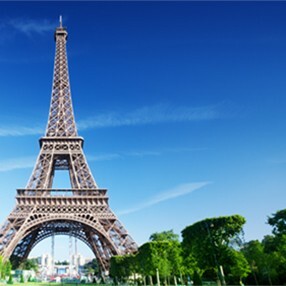 She had taken up cycling to attempt the challenge whereas I was virtually born on a bike, so basically my remit was to try and get her fit and get her to Paris! However, I needn’t have worried about the ‘getting her there’ bit because the CC team were amazingly supportive to everyone and despite her having to dig deep, they were there for her all the way. I loved the teams attitude to supporting everyone and briefing the team at every section of the ride so we all knew what to expect. The support team and vehicle was always on hand with water and tools and allowed us not to have to carry all our kit. I left Paris with the feeling that I envied the CC team their jobs – meeting like minded people and encouraging them to dig deep to achieve their goals. Thanks to Lorraine, Clare, David and Alan and others – what a great team! 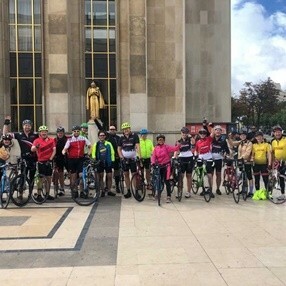 "I was asked to do the London to Paris as part of a large group of girls which really can’t have been the easiest trip for the Challenge Central people. Whilst all my intentions were to get fit for the event, I really wasn’t anywhere near as fit as I wanted to be by the time of the challenge! From start to finish all of the Challenge Central staff that I met, from Selina who organised our pre-trip details through to all the guides on the actual tour and the support team were exceptional. Whilst I was quite slow on the event I knew that I could do the distance and all of the guides were really patient and encouraging at just the right times and even put up with my grumpiness by the end of each day. The support vehicles seemed to magically turn up just as you were in need of water or a little break. The great thing about the actual guides was that they clearly adapted their style to suit the person. There would be times where I just needed to get my head down and get on with it (Ditchling Beacon) and the guide would just quietly stay behind you with the odd encouraging word. There was never any pressure to go any faster, but just to keep going. "The CC team was very well organised and great support, a massive thanks to all for making it a great event for me. The leaders and support were amazing, and the best and quickest tyre changing I’ve seen!! "A huge thank you to the Challenge Central team. Selina was amazing she kept us updated the whole time, then on the event she was just brilliant, a truly lovely person. The same can be said about Mike and Lorraine, they helped all of us at one time, just by being there and making us believe we could do it. The team was great and we made lots of friends during the challenge. I can honestly say it was without doubt one of the best things I have ever done and I can’t thank the Challenge Central team enough for all their reassurance and making us feel welcome. I would recommend this company to any of my friends to go on one of their adventures. 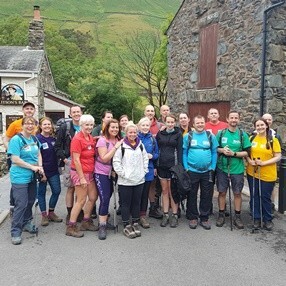 "A huge thank you to the Challenge Central team, having just completed the 3 peaks challenge I cannot think of enough good things to say about Mike, Lorraine and the team, they are just awesome. When my friend suggested we take part in this challenge it seemed like a good idea at the time. As the departure date got nearer though the realisation of what we’d signed up for dawned! But we had no need to worry, we made it, there was lots of kind words and encouragement, laughter and new friends made. 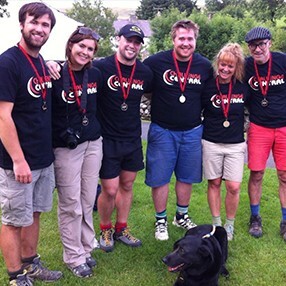 I would like to thank Challenge Central for supporting my team this year with our charity fundraising mission on the 3 Peaks. They arranged every detail of the challenge to a high standard both before and during the event. "I have to say that everyone within our company I have spoken to so far has spoken very highly of Challenge Central and the way you organised the full event. We are very impressed as it is not easy to help take 80+ people up and down 3 mountains, of which people have varying abilities. Thanks a million!" 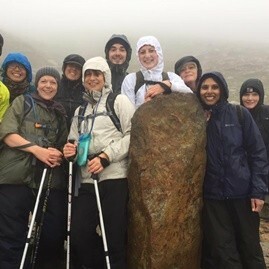 "I have to say that the Challenge Central team were great with a special mention for our mountain leader, he is a fantastic motivator, always emphasising team work, sticking together, helping each other. We also had great banter in the mini-bus. Having been involved in organising large scale events for charity with my brothers, I know the challenges the support teams face behind the scenes, its tiring, stressful and occasionally you wonder what have you let yourself in for. So a personal thanks to you and Challenge Central team for being complete professionals and showing patience with such a diverse group of people." "Thanks for fantastic support from you and your teams. There are lots of very proud people in the office today." I just wanted to say a MASSIVE thank you to the CC team who guided/dragged/pushed/cajoled us up and down those mountains and looked after us every step of the way. I am SO impressed by your ability to look after such a large and varied group as ours was. If I said it once, I probably said it a hundred times but it was all I could do to think about getting myself up and down in one piece – I can’t imagine having the responsibility of looking after the rest of the group as well! 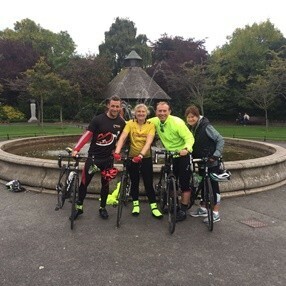 "We have all had an excellent time and are truly thankful to you, Mike, Lorraine and Emma for your guidance knowledge and motivation whilst taking part in this challenge. I know that we were all a bit apprehensive on the drive up to Ben Nevis and you guys have made it a fantastic experience. 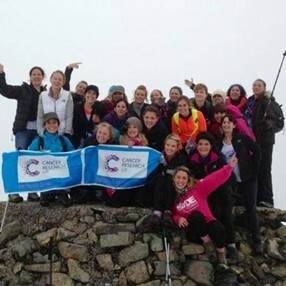 "So I came up with the idea of arranging the 3 peak challenge with some of my friends to raise money for Cancer Research, a charity unfortunately close to a lot of our hearts. I emailed lots of companies and the people who were by far the most helpful and best priced were Challenge Central. By this point a few friends had turned into 24 of us. I can tell you organising the trip for 24 girls as well as their training (and making sure they were all doing their training) was no easy task. Challenge Central had a great payment tool so the girls could all pay them direct on line so that I didn’t have to collect all the money. They were also great at liaising with me re who had and hadn’t paid so I knew who to chase. Challenge Central were on it with emails arranging the trip and kept on the wires on the day re picking up times. They then had to put up with 24 girls (and we are not a quiet bunch) for 24 hours. They did not shout or have a go at us once, they prob deserve a medal for this, first and foremost, lol! They made our challenge run as smoothly as possible, fun and paced us at the right speed. We did it in 24 hours – thank god! We raised 25k for Cancer Research which made us all so happy. "I wanted to raise money for Macmillan following a family bereavement and Challenge Central offered some awesome events that would push me to my limits! I took part in two of their challenges this summer, the L2P and the Three Peaks, raising over £2000 in the process. Both were public trips and I booked on the trip on my own and was a bit unsure as I wouldn’t know anyone else but the staff of CC were fantastic! They helped me fit into the group and by the end of the adventure I had got to know some very inspiring people, all of whom had really meaningful reasons as to why they took up the challenge. Whether it be for charity, a return to fitness from an accident or to push themselves to complete something they would never normally have done the support and expertise of CC made sure they got it done.